This is a question I have not been alone in asking. Your Destiny recently pronounced blue hero dead on arrival. Jackleman Games provided a rebuttal in defense of blue hero, and in the podcast world, Arrow Brook Gaming seemed to land with Your Destiny that blue hero wouldn’t hold up in any competitive sense. Now that Convergence has been thoroughly spoiled, I decided that the Dice of Failure might as well weigh in. Shoutout to Yeti and Artificery for the opportunity to guest post. As the resident blue apologist (blueser, as it were) on my team, I have wanted a blue sticks deck to shine in hero for as long as I have been playing. As such, I have a bias towards believing it will be able to perform, but we have also been testing new blue ideas consistently, and I am feeling optimistic about what the future holds. To provide a fair analysis, I will look at what is lost in rotation, what is staying, and what is being added. I’ll also make my argument for the two significant changes that could elevate Blue hero’s position. Finally, I will share a couple of early builds (including a villain concept) that are feeling decently solid. Let’s start by acknowledging what we’ve lost. Blue hero lost some impactful two resource weapons. This doubly hurts when Villain gets access to Palp’s Saber and Dooku’s Saber and still has Cross Guard for affordable sabers. Shoto Lightsaber – I hardly knew thee, and Qui-Gon misses you. 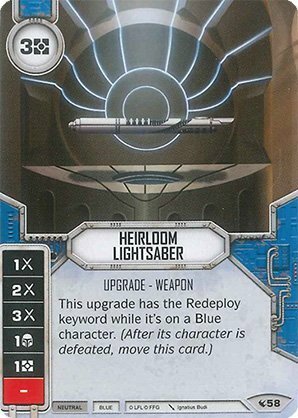 Ancient Lightsaber – The 2 drop health reclaiming champion is no more. But I will hold out hope we see something as impactful again one day. 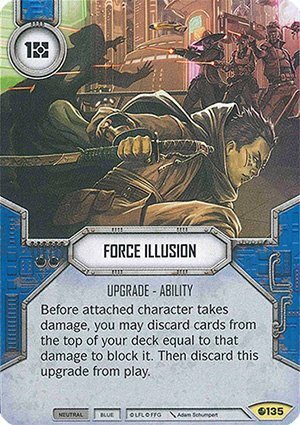 Force Illusion – While this loss hits every deck (because they all played it), I actually think it helps blue hero’s viability in the long run. More on this later. Some real blowout ramp and removal is gone now. 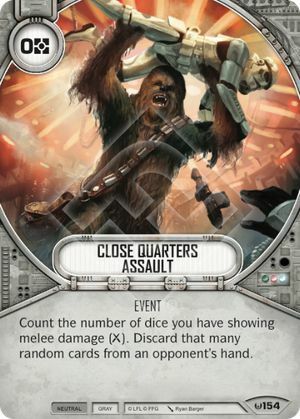 Close Quarters Assault – I think you could argue that this card was too good, but taking away an option to remove an opponent’s hand has left hero with no real hand control options. Guard – This is a huge loss, though cheap multi-die removal is absent for almost everyone. And this card was pretty crazy when it allowed you to use an orphaned +3 melee dice as triple removal. 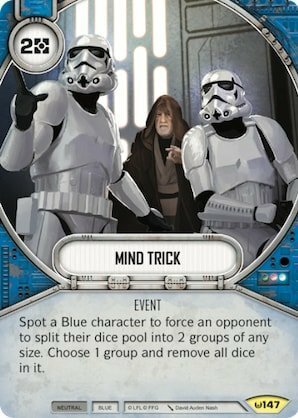 Mind Trick/Overconfidence – These removal options saw lots of play in the last meta. Riposte/Synchronicity – 0 cost cards that weaponized shields and shield sides were really effective in sneaking damage in. Caution – A great way to redeem a blank into 3 shields on a second character and set up big combo plays. Though Pacify still exists in a similar role and as mitigation in mill. 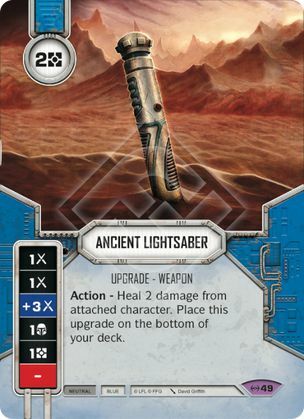 Destiny – This card could allow you to get one of the many 3 cost saber’s out round one with good sequencing. The art was also really funny. Now Let’s look at what is staying. There is plenty still here to be excited about. There are a couple 2 cost weapons that remain, but I would love another good inclusion in this list. 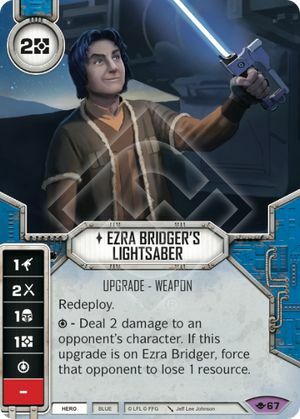 Ezra Bridger’s Lightsaber – This card is no blowout, but redeploy and special chaining is nothing to overlook for 2 cost. 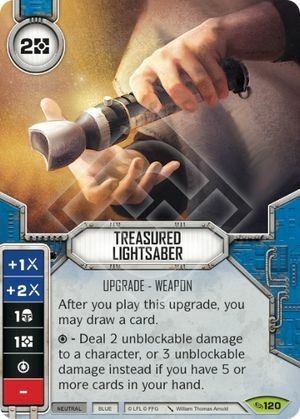 Treasured Lightsaber – This can be less impactful with no base damage sides, but the special chain and draw mechanic will make it an include in many lists until something comes along. 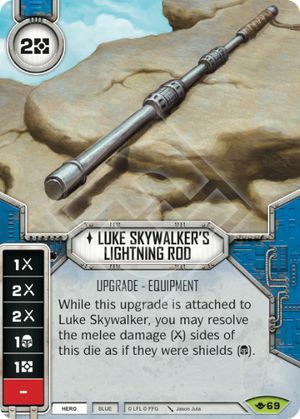 Luke’s Lightning Rod – Great damage sides for a 2 cost. But being unique with no redeploy is a bummer. So many three cost Sabers! – Seriously, so many. And while this is an economic pain when needing to have mitigation and counters, the recently confirmed reprint of It Binds all Things softens the blow. 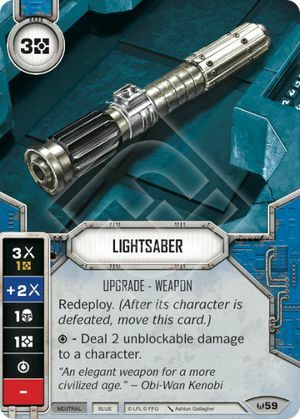 With many of these having redeploy, it’s easy to get more value out of sabers. The tempo and nature of what Blue hero plays like is changing, but many good options exists. A key takeaway for me with what we have and we are getting, is that Blue Hero has the tools to be quick, agile, and have great longevity. 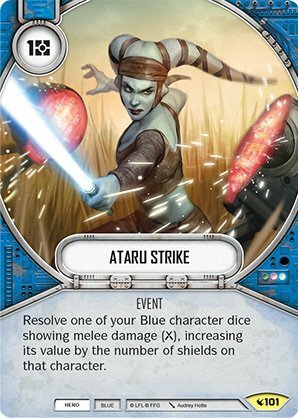 Ataru Strike – This is a card that still can give solid damage swings while incentivising you to use those shield sides. This is key to shifts in blue moving forward. 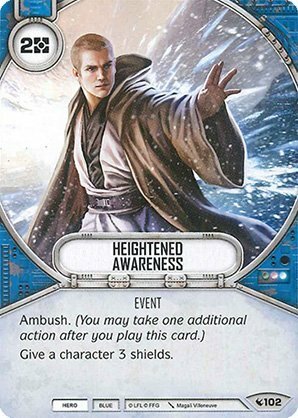 Heightened Awareness – While costly, this can be massive in Qui Gon decks. 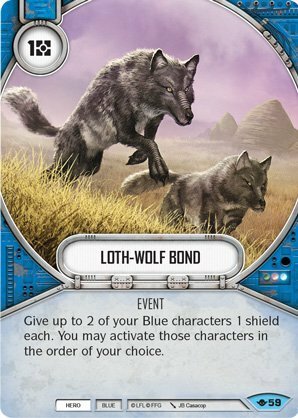 Loth-Wolf Bond – This card can be such a big play with the tempo and shield value. 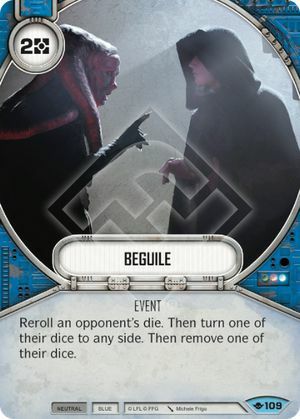 Beguile – Still one of the best 2 cost mitigation options because it can disrupt dice protected from removal, remove and give great control opportunities. The challenge is playing it while affording weapons to ramp. These are a couple cards I want to highlight that have been previously not great plays, but may be worth considering now. Defensive Teaching – Having the ability to give blue characters an additional shield can be a wasted card slot, but in the right build, it’s like creating constantly rechargeable second chances on a character with no upgrade slot consumed. Honed Skills – Speaking of upgrade slots. One thing that is very different from other decks is the amount of defensive upgrades that blue hero can field. This combined with the longevity can put you in a position where this card moves from a “win more” card that is bad deck building, and moves it to a card that rewards your early safe game with more offensive capabilities than an opponent can field in the late game. It’s helpful when you need dice to stay alive, and also want to find the damage to close out games. Blue hero has some great players waiting for us to make the most of them in rotation. 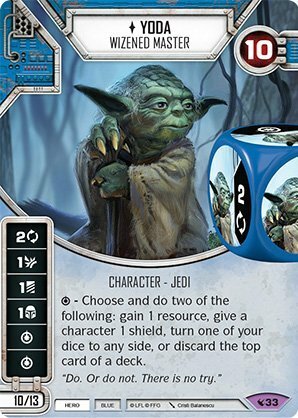 Yoda – He is still fantastic, and while closing out games can be a challenge, few other characters offer the ramp and flexibility he provides. 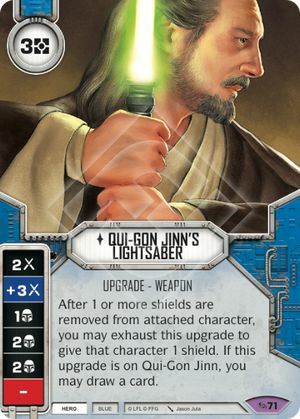 Qui Gon Jinn – I think Qui Gon is in a really strong position going into rotation. 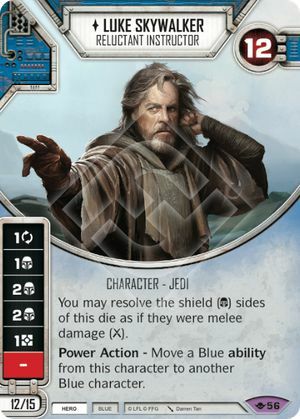 Old Man Luke – He has been hard to build something impactful around, but I think we are seeing some new options open up. 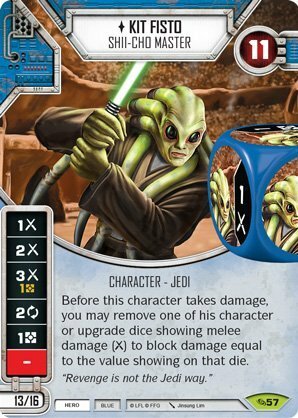 Kit Fisto – Kit has even more survivability than other Jedi. Now that we have established the scene of Blue hero moving into Convergence, I want to focus on the two main changes that I think are going to enable the unique strengths of the faction. First, survivability like Force Illusion and Second Chance are all but gone. Red hero has some healing, but the need to aggressively damage characters and overcome those death preventing upgrades made it hard to not feel like the shield sides on blue hero were a distraction. And when you were shielded, the sides felt like a waste. Cards like defensive teaching aside, shields as pseudo removal by blocking damage and adding health are going to be more of a strength now when all factions are losing the tools to live into later rounds. No faction should be as good at surviving the long game as Blue Hero. This combined with the second main change to blue hero I think will help it carve out a competitive identity. Aside from the advantages blue has with shield sides, it is gaining a tempo change in the form of Shields AND something else simultaneously. 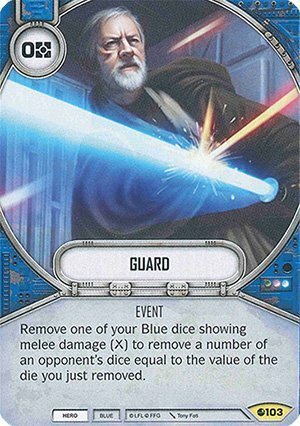 Whether that is removal, activation, or more dice options there is a clear change in blue kits towards giving shield in tandem with other benefits. This finally moves shields from a tempo and damage loss by making them reactive, and allows for more timely and impactful plays while also increasing the survivability of the blue characters. I think this is most exemplified in the new cards we at Dice of Failure have been referring to as the Soresu Suite. A great deal of my testing has been focusing on these new cards, and I want to look at them each in detail. Soresu Training – While this card can feel like it’s only a downpayment on the mastary card, we shouldn’t sell it short. It essentially has three shield sides with the specials, which are both 2-shield sides. It also has the shield AND tempo exchange with the mastery card, even allowing you to pull mastary from the discard pile after a discard or its last owner was defeated. 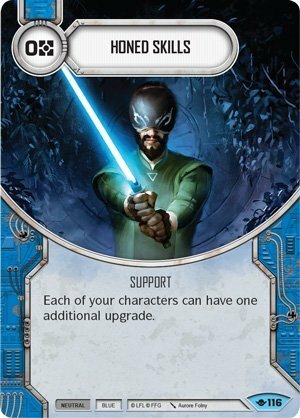 Soresu Mastery – This card is awesome, and high up on my list for legendaries I want from convergence. It acts as removal when played, has great sides including 2 special sides that remove damage dice, and no blanks. It can overwrite itself for timely additional removal. 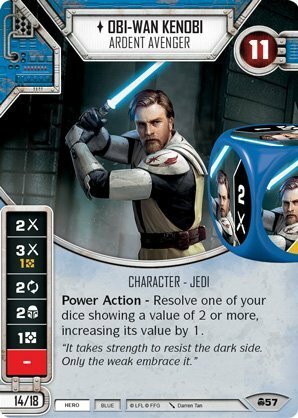 I think Luke3’s ability to redistribute ability dice could be very strong with this. 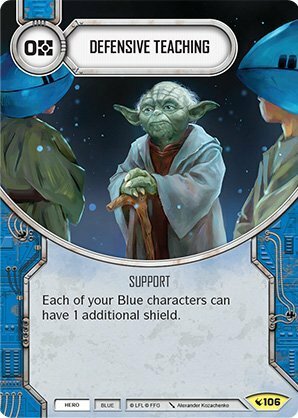 Circle of Shelter – This care is a bit underwhelming at face value, and with a character like Yoda it isn’t as exciting. But with mastery on a character, its essentially a 2 cost mitigation. Deflecting Slash – This card is a beast. It does require thoughtful pacing, and I have been frustratedly reminded that it doesn’t work against a melee deck. 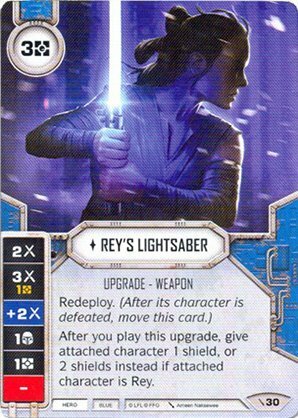 But in tandem with Mastery, it is 1 resource for a removal, activation, and 2 shields, which is incredible value and easily better than its One With The Force counterpart. I really can’t overstate how good it feels when these pieces come together, and I think Soresu Mastery is card to mulligan for all the time. 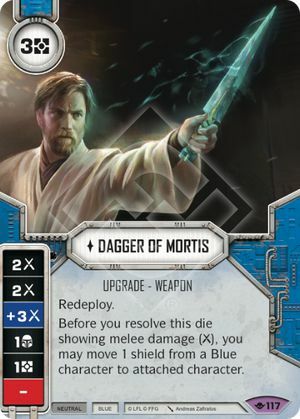 The removal, shields, and control of this package is a big boon to all of blue, but it enables hero especially because they need time to ramp up with sabers. Next up let’s look at Lightsaber Mastary. This card is nuts, and I can think of a couple pairings to really make use of it. Obviously the two events just mentioned can be used to great effect with Soresu. I also think Fatal Blow can be a great card to always have ready and waiting for a moment where you can deal 2-5 extra damage with Honed Skills. The option of having a two card sideboard that can’t be interrupted already seems awesome, and I think as more cards come out it’s ceiling will climb. Last thing before we look at some new builds we have been testing is to dive into some of the new characters, supports, and upgrades that are joining the Blue Hero lineup. There is a nice variety of new characters to explore in this set. 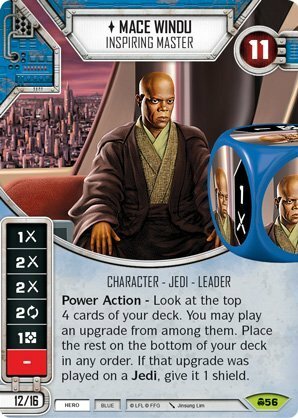 Lor San Tekka – While not a Jedi, his ability, health, cost, and focus makes him a fantastic support character. So he may not bring sticks to the table, but he can help you get the most out of them. Obi-Wan Kenobi – As a starter he is solid, but I think you want Qui Gon instead. Focus is helpful. Ahsoka Tano – Really glad we are getting a good ahsoka. She has low health, but great damage and combo potential. 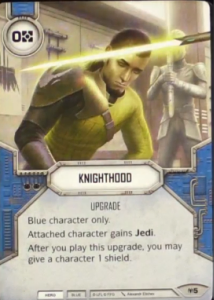 Vigilant Jedi – Solid character for 8. You get 50% Damage sides and a built in removal. 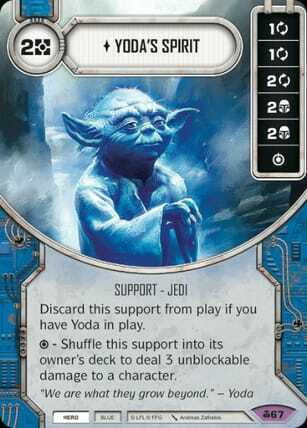 With a couple of these and Yoda you could have an interesting control deck brewing. Mace Windu – Mace is awesome! As a leader and Jedi he plays well with the new hero only beguile like event Channel the Force. His power action will let you either play less upgrades while finding them reliably, or get more out faster. He also has great sides for an affordable price. He is the first character I have seen that makes me think Way of the Force could be playable. So many new characters to build with! Just a couple things here. We will see how they hold up in the early meta. 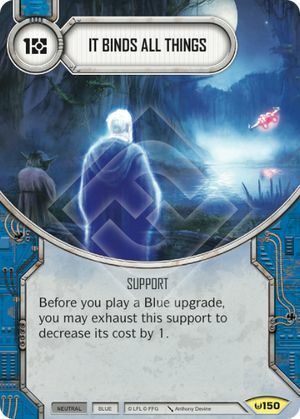 Yoda’s Spirit – This card is interesting. I would be lying if I hadn’t hoped that blue hero would get something to rival fist. This is helpful, and its special could be worthwhile. 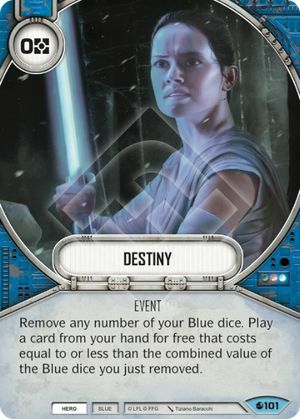 But, short of Padme synergy, I have trouble getting excited about it yet. It Bind all Things – This reprint will be very helpful for the decks that need to ramp and afford mitigation. 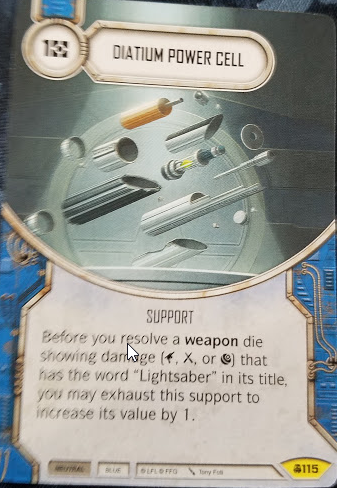 Diatium Power Cell – This card spoiled this week lets you tap the support to add +1 to a weapon die with lightsaber in the title. At 1 cost, this could be a great addition to blue sticks and lets a bit more damage sneak through. Normally it would be hard to get value from a card like this, but with the survivability of blue hero, I think it can work out. We already covered the Soresu cards, but I also think a couple cards are worth highlighting here. 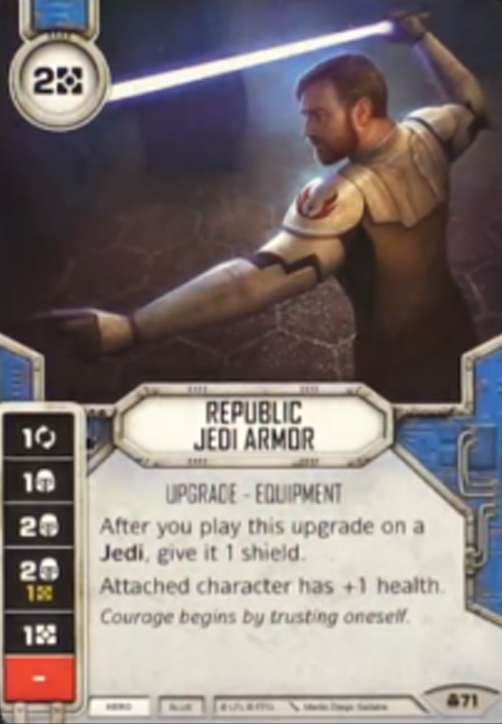 Republic Jedi Armor – While this card might underwhelm, it acts as a two health swing when played and also introduces a solid defensive die into the pool. 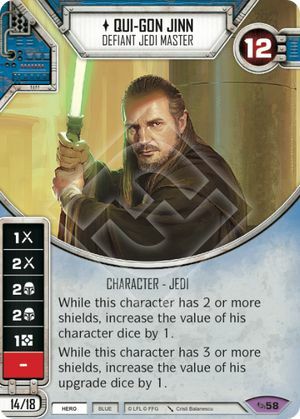 It’s a good play on Qui Gon, and if Mace Power actions it, it becomes a 3 health swing. 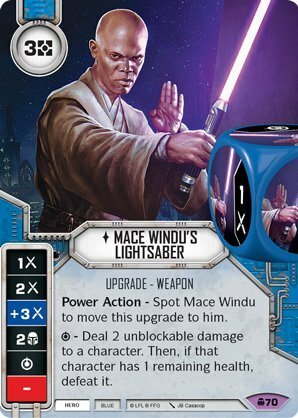 Mace Windu’s Lightsaber – 4 damage sides, two shields, and a power action to use it twice makes this a real solid 3 cost saber to join the many others. 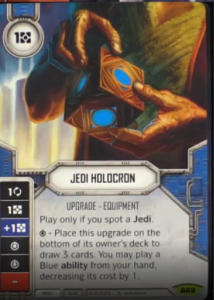 Jedi Holocron – I saw lots of folks write this off because it didn’t stack up to the incredibly strong sith holocron, and I think that is crazy talk. A 3 draw that cycles the upgrade while giving a decrease in ability cost will be a real nice turn 1 combo for Suresu and other combos. 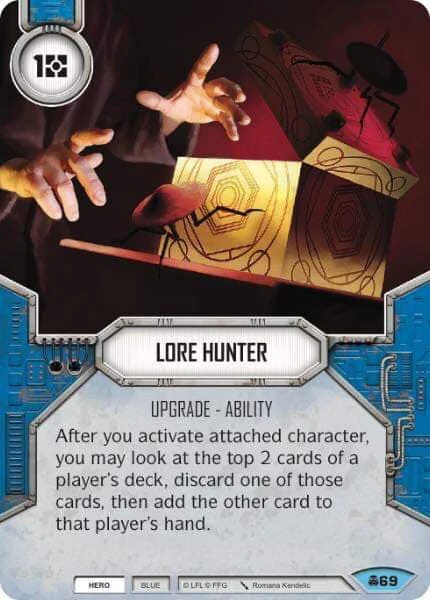 Lore Hunter – This could be great for your own draw when combined with Lor San Tekka’s Power action to minimize the hit. Or as a way to mill your opponent, albeit with a downside of giving them a card in hand. Knighthood – This is a fast hands for Ahsoka and opens up tribal synergy. Not sure what else to do with it yet. Mace can use it to give 2 shields to a Jedi with his power action. Thanks for sticking with me through the recap of what we have to work with in the new set. For this final segment, let’s look at a couple lists that use the new tools available to us. None of these are finalized, but each has been tested to get a good feel for what optimization might look like. I wanted to a test a 5 die start using the new Allies of Necessity. Yoda helps with the resource loss, and an early defensive upgrade can help keep Ahsoka in the game. After testing this feels…just okay. I would need to reduce the upgrades and add more mitigation. I also wonder if dropping Vigilant Jedi for a Gungan and not needing to do Allies would be stronger. 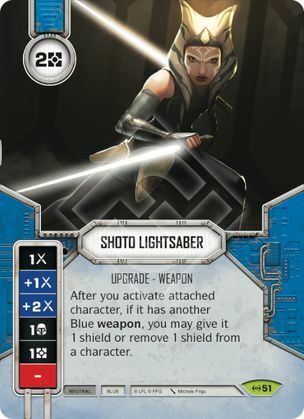 Not sure yet, but I like the idea of this deck and the speed that a play like Loth-Wolf to activate two Jedi and resolve two of Ahsoka’s dice bring to the table. One of the first ideas I wanted to explore was getting Qui Gon to be able to maximize his ability similar to how my co host James was testing with Palpatine. 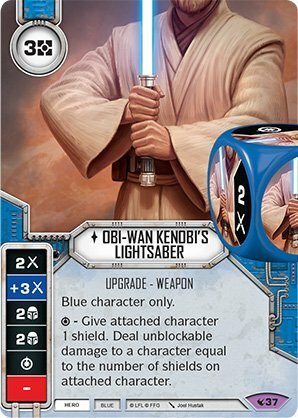 Lightsaber Mastery provides a tempo bonus when you claim with a dice still in the pool to resolve it at +1 using the Comm Tower battlefield. If this is a dice from our Jedi it can become a +2. I found that I always had the money I needed. Satine brings great value for her cost. I was never worried about cash when testing. 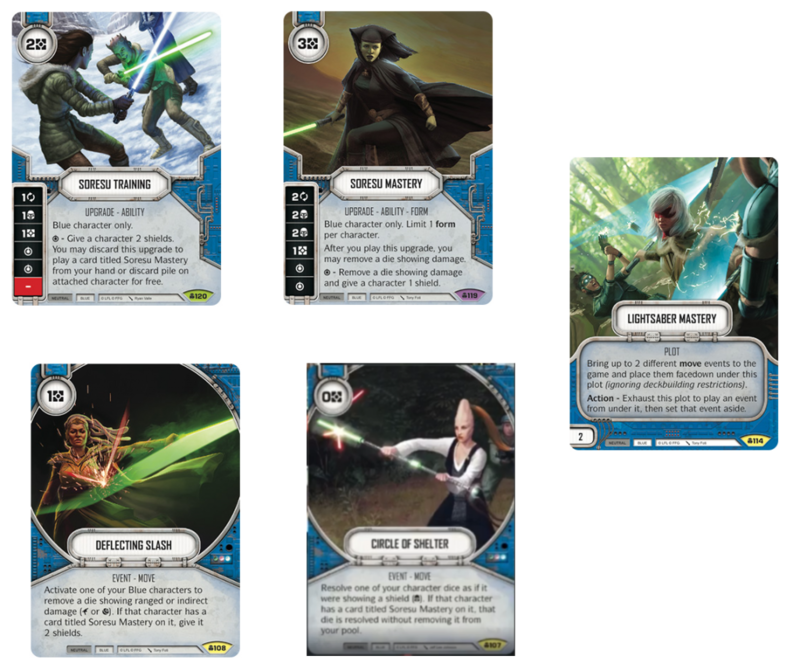 This deck could be very scary because Bacta Therapy and Honed Skills let Qui-Gon tank into an almost unstoppable force. This last list applies some of the new ideas to a mono-blue villain deck. I am calling it Blue’s Clues, and it has been incredible fun in testing. If you use both characters abilities in a turn it’s like making your opponent use Bitter Rivalry each turn. Forsaken is a beast, and having so many 0 cost removals allows us to use resources on weapons. Neither character feels good being left alive on the table.